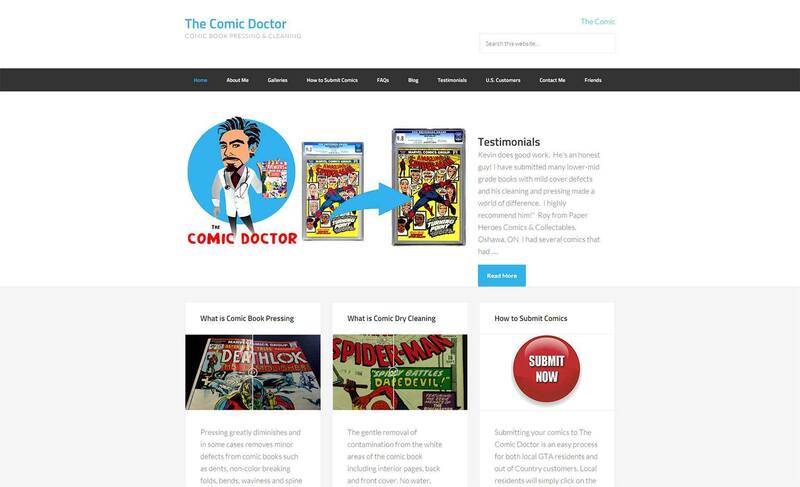 Website Design + SEO Project – Comic Dr.
Website design required a clean and concise site with numerous examples of the service for comic book collectors that consists of Comic Book Pressing and Comic Book Dry Cleaning for collector grade comics some of which are worth thousands of dollars. A FAQ page with details on the process was imperative. Fully mobile responsive and secure. SEO part of this project involved getting this website listed on Google. It had zero ranking not even appearing in the first 50 pages of Google search results. We got this website on Page One of Google search results for the main terms “Comic Book Pressing” and “Comic Book Dry Cleaning” within 7 days and dominating the search results for those terms world-wide within 30 days.